So, the stage has been set for the grand final in Milan on May 28 as it will be an all-Spanish clash between Real Madrid and Atletico Madrid in a repeat of the 2014 match which saw Los Blancos secure the famous La Decima. During the week, Zinedine Zidane helped secure Real’s 14th appearance in a European Cup final by guiding them to a 1-0 win over Manchester City at the Santiago Bernabeu in their UEFA Champions League second-leg semi-final battle, thanks to a Fernando own goal. It was far from the most enthralling of spectacles and it could even have been described as quite a damp squib. There was little in the way of entertainment on show from either side, but Zizou’s charges marginally deserved to go through to the last match of the tournament due to their extra industry and drive, despite creating little throughout. How exactly did Madrid arrest the Citizens? Join us in taking a look. Cleverly infiltrating openings and using their moments on the ball wisely, the Madridistas became major exponents of spacetime for their slender victory. Indeed, their overall play lay somewhere on the continuum between promising and, well,...not very good but like every good physicist, they found a way to make the equation work by ultimately coming through with the answer. One of La Liga’s most successful outfits worked hard to move the ball quickly about the pitch, and their incessant approach proved difficult to contain for the visitors, particularly in the opening period. Refusing to give City’s midfield or defence much time to settle into any sort of a discernible shape, their tactics worked wonders in giving Manuel Pellegrini’s men plenty to monitor. Getting lots of joy down the right flank through Dani Carvajal, they knowingly targeted the off-colour defensive performance of Kevin De Bruyne by getting the ball down that side with regularity. The Belgium international’s ineffective work-rate in tracking back (which persisted throughout) meant that Gael Clichy was left exposed on a few occasions and he couldn’t handle the pressure – and it was no surprise to see that Los Merengues found the only goal by channeling their focus down that passage as Carvajal was allowed so much room to fashion a pass in for Gareth Bale whose shot/cross went in off the unfortunate Fernando. The Germany international has often come in for his fair share of criticism, but his influence against the Citizens was pretty clear. It didn’t help them build on their lead in a direct sense (i.e he didn’t provide any assists) but his majesty in spreading the play and making City work by upsetting their “shape” like clockwork really had a major impact on the final outcome. The first leg of this tie was widely viewed as a good result for the traveling contingent. Having escaped from the Etihad without conceding, as well as playing without Cristiano Ronaldo, many felt confident that the 2014 UCL winners would come up with the goods on their home patch. Their backers were proved right, despite how lacking in excitement the match was. However, reflecting back on the reverse result revealed a new and invigorating side to Pellegrini’s men. Not in any mood to roll over and take defeat, they pressed in a lively fashion as Fernando and Fernandinho proved a cataclysmic duo. Collectively, they worked with fizz and bite, but looking at their performance in the Spanish capital, it was like watching two very contrasting faces of the one team. Whenever they pressed their opponents, they did so in dribs and drabs, failing to ever really get motoring along the way. It was a limp performance overall and a rather sorry way to exit the competition. Players seemed off-kilter and really void of any hunger to get the win after going behind. Remember, they didn’t even need to score before that and could have played shut-out from the opening whistle all the way to penalties, but instead they went with a non-existent game plan and came up with nothing to show for it. City players were out of ideas and seemed to have little faith in their own abilities. If they forgot how to play with pride for their shirt from a defensive side, they also fell foul of their own disinterest whenever they got the ball inside Madrid’s half. Arguably their best opportunity arrived in the 44th minute when they strung together seven uninterrupted passes that brought them from inside Madrid’s half, back to their own, before eventually getting them inside Madrid’s 18-yard box after De Bruyne fed Fernandinho and the Brazilian flashed a shot wide of the mark. It was a sign that they could still have swung the tie back in their favour, and it was also a timely reminder that they possessed the talent to cut through their opponents’ rearguard, but they simply couldn’t do it often enough. Why? They honestly didn’t look interested, they were out of ideas and seemed to have little faith in their own abilities. 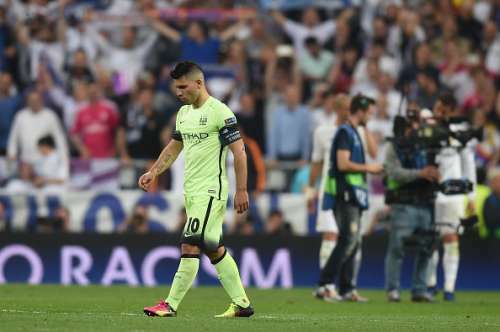 Of course, their lackluster attack has been nothing new of late, as Sergio Aguero hadn’t scored in the UCL for them since the goal he netted against Dynamo Kiev in February. Not only that, but he was dropping so deep to get any sniff of the ball that he looked lost roaming about the midfield. Time and again, the Sky Blues simply didn’t know what to do with the ball. Dilly-dallying in possession resulted in them often being closed down and possession shunted all the way back to Joe Hart, whereas other times they simply played the wrong pass to give the ball away. 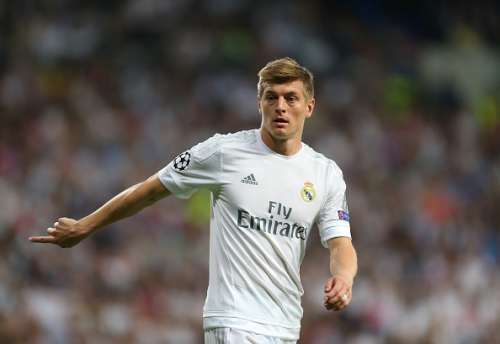 The runners in front were static and although Madrid held them off well, their back-line didn’t really have a huge amount to contend with. The result (and performance) won’t live long in City fans’ memories and even the prospect of Pep Guardiola coming in ahead of next season won’t do much to ease their pain right now. Who are the most injury-prone footballers currently?